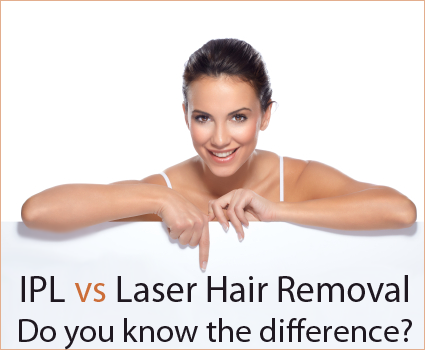 Laser Hair Removal vs IPL (Intense Pulse Light) - What is the difference? Home/News/Laser Hair Removal vs IPL – What is the difference? In a 2011 study conducted by the British Association of Dermatologists, the authors compared the satisfaction level, the safety, and the effectiveness of long-pulsed laser and of intense pulsed light (IPL) in the reduction and the removal of hair in participants who have dark skin. There were 50 women who participated in the study. The tests were performed for 5 sessions within 4 to 6 week intervals. Hair counts were conducted and compared at both sides at baseline as well as 6 months after the participants have undergone the last session. The final evaluations were done by the clinicians and the subjects at the end of the test. Satisfaction was also scored for both types of hair removal methods. 39 of the participants were able to complete the study. 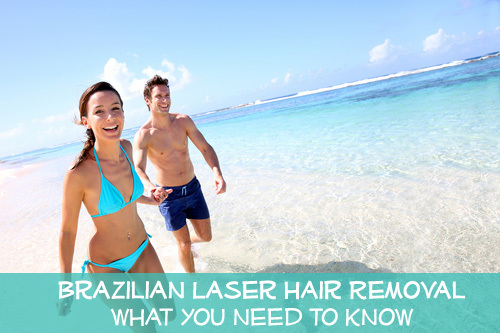 At 6 months, the reduction in the hair counts of those who have undergone the laser hair removal method was considerably greater compared to that of those who used IPL. 29 of the participants preferred laser. In addition, the volunteers also reported greater satisfaction scores with the laser hair removal device. 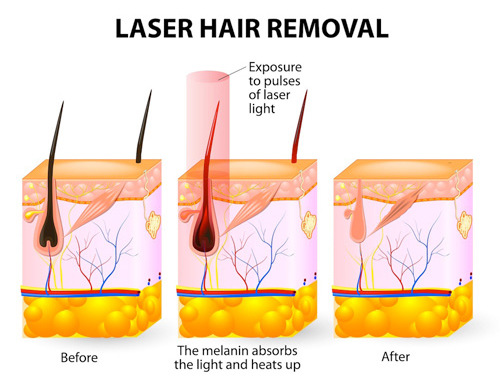 In conclusion, the study has found that hair removal for individuals who have dark skin can be done safely and effectively through both laser and intense pulsed light. 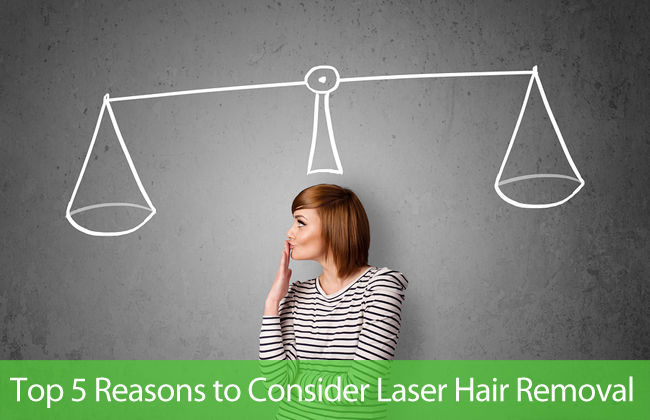 However, as reported by both the clinicians and the subjects, laser is more effective and is a more preferred choice. 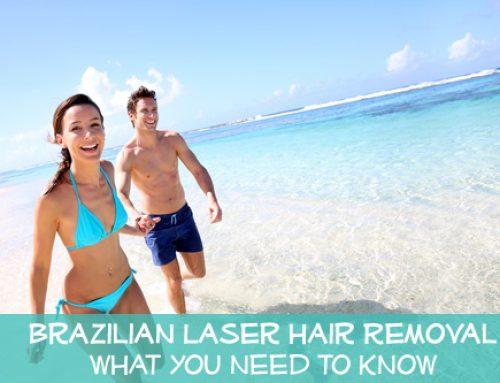 In addition to the benefits of laser hair removal devices that have been mentioned above, there are a number of other elements that make it a better choice for those who want to remove and experience a considerable reduction in unwanted hair. •	Precision – Reduction and removal of hair through a laser device can be much more precise, seeing that it can selectively target coarse and dark hairs while ensuring that the surrounding skin will be left undamaged. •	Speed – Each pulse of a laser only takes a fraction of a second to treat many hairs all at the same time. 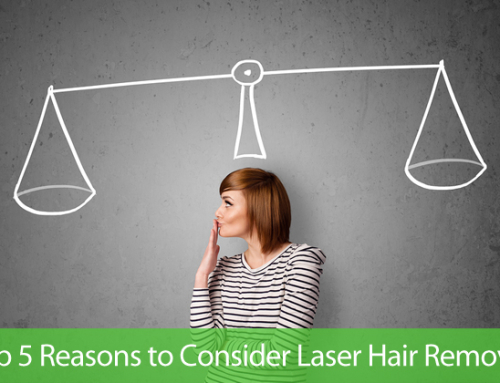 Laser has the power to treat a targeted area that has the size of a quarter each second. Through laser, hair growing out of smaller areas, such as the upper lip, can be removed in less than one minute. For larger areas including the legs or the back, the entire process will only take about or less than an hour. •	Predictability – 90% of patients who have undergone laser hair removal has experienced permanent hair loss after undergoing about 3 to 5 sessions. If you are considering laser hair removal in NYC, at Gentle Touch Laser Centers, patients can expect one of the best and the most comprehensive laser hair removal treatment. This is because the center makes use of the Cynosure Elite Aesthetic Workstation and licensed laser technicians. By Gentle Touch Laser|2017-06-13T18:12:11+00:00January 12th, 2017|News|Comments Off on Laser Hair Removal vs IPL – What is the difference?